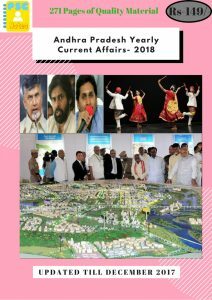 The Andhra Pradesh government has made the installation of biometric attendance systems and eoffice facility mandatory in all government departments including district-level offices. The related government order. The state also constituted a three-member nodal authority to monitor and ensure the implementation of the e-office and biometric attendance systems. The nodal authorities will monitor the implementation of programme at the secretariat and all government offices from the state-level to the district-level. The bio-metric attendance would be implemented even in the teleconferences, video conferences, state-level review meetings and district-level meetings. 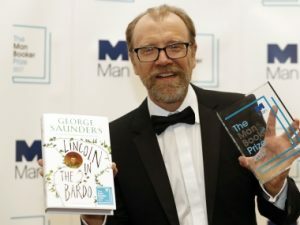 US author George Saunders won the 2017 Man Booker Prize. He became only the second American writer to win Britain’s renowned Prize, which was awarded for his first full-length novel “Lincoln in the Bardo”. The east African landlocked country Zimbabwe, with immediate effect, banned the import of fruits and vegetables to preserve the scarce foreign currencies. Last year Zimbabwe spent more than $80 million on fruit and vegetables which included tomatoes, onions, carrots, grapes, apples and oranges. Many of the Zimbabweans are keeping U.S. dollars at home or they are spending in buying Hard Currency on the black market. This same situation was prevailing during the period of hyperinflation a decade ago. The15 member nations including Pakistan have been elected to serve on the United Nations (UN) Human Rights Council. 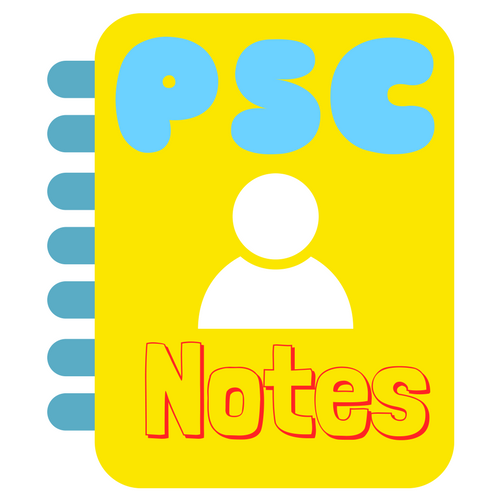 15 new member nations who have been elected are Afghanistan, Angola, Australia, Chile, the Democratic Republic of the Congo, Mexico, Nepal, Nigeria, Pakistan, Peru, Qatar, Senegal, Slovakia, Spain and Ukraine. Indian consumers regard Google as the most authentic brand, even though Amazon.com tops the list globally, reveal results of a new survey. In India, Google is followed by Microsoft, Amazon.com, Maruti Suzuki and Apple. Globally, Apple takes the second spot after Amazon in the authenticity race, according to the results revealed by Cohn & Wolfe. The Ministry ofWomen and Child Developmentis undertaking an online campaign #IamThatWoman. The main aim seeks to highlight the various aspects of women standing ‘by’ and ‘for’ women. Ministry of WCD has urged people to shun stereotypes associated with women harming other women. Twitter and Facebook users have been encouraged to tag and share stories of women helping women with a photograph and post online with the hashtag #IamThatWoman. A woman manager can easily empathize with her female juniors and help her climb the ladder of success. Multi Commodity Exchange (MCX)launched trading in Gold option’s contract in presence of Finance Minister Arun Jaitley. Underlying for Gold options contract which is currently available for trading are Gold (1 Kg) futures expiring on November 28, 2017, and January 29, 2018. The Options in securities and commodities market are primarily meant for hedging. However they are also used for speculation. Cancer is strengthening its grip across India, and reportedly, Haryana has a major share, with over 39% of cases recorded in the state. Approximately 17.3 lakh new cancer cases are being estimated by the year 2020 in India, therefore with the present trends Haryana might have around 6.5 lakh cancercases by then. Breast cancer has a majority share of cancer cases and is the leading cause for deaths in women suffering with non-communicable disease. According to an Indian Council of Medical Research (ICMR) report, breast cancer shares 10% of all cases. Deepika Padukone launched the biography of veteran actress Hema Malini in Mumbai. The biography, titled ‘Beyond The Dream Girl’, is written by Ram Kamal Mukherjee, and was unveiled on Hema Malini’s 69th birthday (October 16). The biography’s foreword has been written by Prime Minister Narendra Modi.